*Tickets: $20 – includes admission, a bowl to take home, AND “all you can eat” from our excellent cooks! It’s our 11th Annual Cookin’ To Build event! Help us raise money to build more Habitat homes! 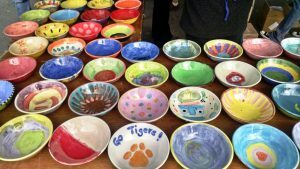 *Paint your own bowl at The Pottery Place: for just $5 (+ tax) with the purchase of a Cookin’ To Build ticket. 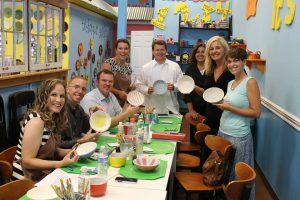 Cookin’ To Build Bowl Painting starts August 1!!! 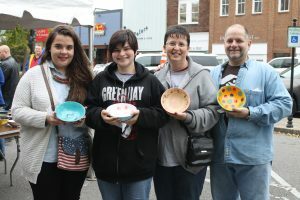 This is a unique aspect of this event – you can paint your very own bowl and keep it in your Cookin’ To Build collection! All painters are asked to pre-purchase your bowl at the time you paint it. For your donation of $20 made to RCHFH, we will have your bowl in a designated area on the day of the event. For information about sponsoring the 2018 Cookin’ To Build, please contact Melissa Cross, cell: 615-603-5395, melissa@rchfh.org. All proceeds from the event are used to build Habitat for Humanity houses in Rutherford County for low-income families in need. No funds are used for administrative purposes. Tickets will also be available for purchase at our office located at 850 Mercury Blvd. and both ReStore locations.